Even though fall is almost a month away, with this summer heat, the last thing we want to think of is anything long-sleeved or layered-up. However, we still can't help but envision how nice our outfits will come together once things chill off, specifically from the feet up. A big part of our fall style is our shoes, and lucky for us, we can think (and buy) our favorite fall footwear starting now. Boots to sneakers to mules—the options run the gamut. However, we pinpointed the five must-know fall shoe styles that are sure bets for anyone's wardrobe. Keep scrolling to check each one off your fall shopping list. It'll make waiting out this heat much more bearable. 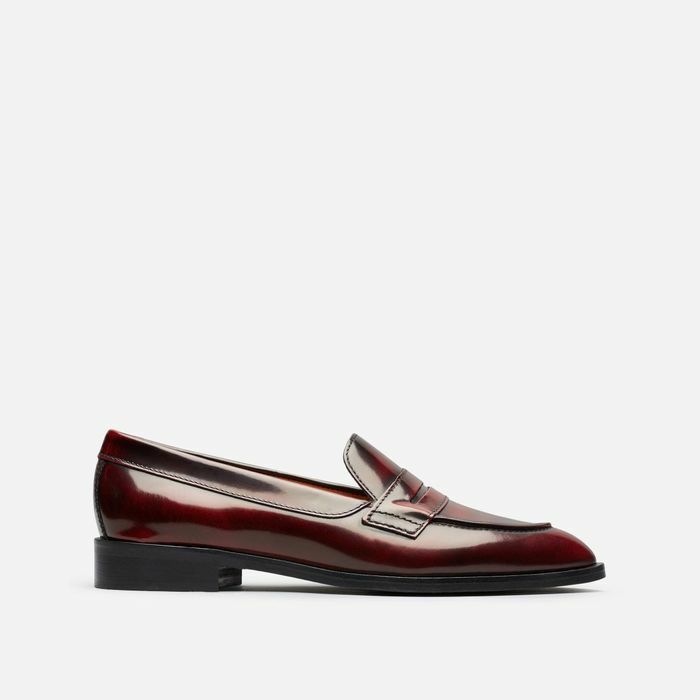 Make a statement with a squared sole loafer. Keep summer alive with these subtly embellished loafers. You'll never feel blue when you wear this woven pair. Make these your new go-to office shoes. If you're tired of your white boots, try these. When you're not sure if you want to wear mules or loafers, this unique style is a good option. For those fall nights out. You always need a pop of color in your fall wardrobe. Say hi to your new staple fall shoes. Give all your fall outfits a cool contrast with these leopard-print mules. Fall is the perfect time to give suede, pointed-toe mules a try. You can't forget a pair of simple black slip-ons. White kicks work all year round. Contrast sneakers are one of the trends you need to try this fall. Wear these with all your cozy athleisure looks. The chunkier the sole, the better. For when you want those extra inches of height but don't want to sacrifice an inch of comfort. Would you give these neon kicks a try? Chelsea boots are hands down a fall must. Channel the Wild West this fall. We think anyone can benefit from sleek white boots. Not your typical fall ankle boots. Time to bring out your combat boots. Welcome some subtle color to your wardrobe with these teal ankle boots. Channel Rihanna with this bold, snake-print pair. The perfect pair for all your fall minidresses. Which ones you'll be stocking up on?